Audi says a completely driverless A8 whisked movie star Daniel Brühl to the red carpet at Berlin's Berlinale Film Festival this week. The car picked up the actor and his girlfriend Felicitas Rombold from their hotel in Berlin and drove them directly to the Berlinale Palast. Audi says it travelled in a "suitably smooth and stately fashion by registering prominent architectural features along the driving route, comparing this logging with precise mapping and synchronising the information with data from its own calculation of its movements". "We are developing and testing our technologies for piloted driving under all conditions," said Dr. Ing. 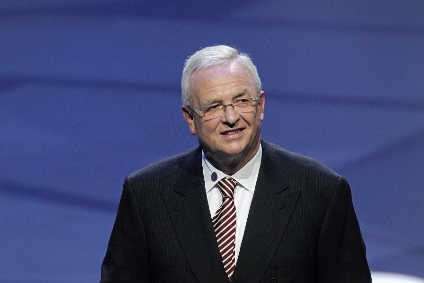 Stefan Knirsch, Audi Board Member for Technical Development. "We have already proven that we can have piloted cars drive safely on a race track and on the expressway. At the Berlinale, we have now mastered a complex urban traffic situation with maximum ease." The aim was to make the grand entrance to the red carpet similar to the way an experienced chauffeur would drive – a very gentle and smooth approach and progressive, carefully modulated braking to a stop at the kerbside (watch footage).